COMMENTARY — While many have mixed feelings about coach Bronco Mendenhall leaving the BYU football program, one thing is for sure — A walk-off No. 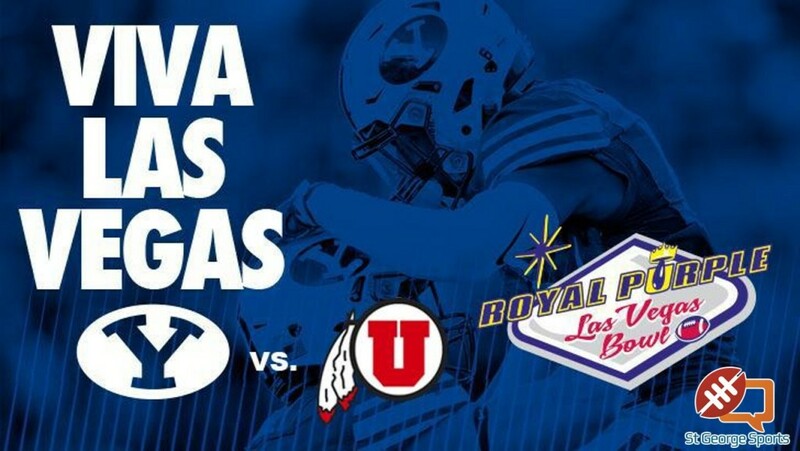 100 win over despised rival Utah in the Royal Purple Las Vegas Bowl Saturday would enshrine him in Cougar lore forever. Mendenhall, who has collected a very good 99-42 record at BYU, has now led the Cougars to 11 straight bowl games (6-4). One blemish on Mendenhall’s legacy however, may always be with BYU’s neighbors on the hill, as the Cougars have won just three of nine meetings against Utah with Bronco at the helm. It’s also been more than six years since Cougar faithful have celebrated Max Hall’s pass to Andrew George for an overtime touchdown in BYU’s last win over Utah (in 2009). To put that into perspective, here’s a few things that happened the year BYU beat Utah: Barack Obama was inaugurated president. Michael Jackson died. The Swine Flu “epidemic” panicked the world. Jay Leno retired from “The Tonight Show.” Taylor Swift still sang country music. The billboard chart-topping song was the Black Eyed Peas’ “ I got a feeling, that tonight’s gonna be a good night.” Folks it’s been awhile, to say the least. If motivation has been a problem, it shouldn’t be in the Vegas Bowl. Just pick an angle. Bronco can remind his team about the win drought or about Utah’s refusing to schedule BYU the last two years in favor of scheduling Michigan; Or about Utah’s upgrade to the Pac-12 that has many wondering if BYU has been left behind as a lesser mid-major caliber team while Utah has become “a true Power 5” team. If none of those fit your fancy, Utah’s senior defensive tackle Seni Fauonuku fired the first shot with his smack talk at the Royal Purple Las Vegas Bowl welcome event earlier this week. When it comes to Utes and Cougars, it seems lately that nobody wants to play nice. We all remember Max Hall’s famous “I hate Utah” speech. I remember vividly my first time attending a BYU basketball game at the Marriott Center in 2010 and watching as Marshall Henderson backhanded Jackson Emery. More recently, I was present at the Huntsman Center earlier this month when little brother Nick Emery lost his cool and took a cheap shot on Utah’s Brandon Taylor. Taylor, himself, attempted a low blow kick on BYU’s Tyler Haws just a year earlier. In short, it looks like another epic chapter of the Holy War will ensue. So what do the Cougars need to do to come away with a win? The biggest question mark is whether or not the BYU defense can keep up with the athletic Utah receivers and if they can keep in check speedy tailback Joe Williams, who Ute head coach Kyle Wittingham reported is faster than the injured Devonte Booker. The last time BYU faced a team with speed similar to Utah was on the road against Michigan, where the Cougars got carved up by speedster tailback De’veon Smith. He lit up BYU for 128 yards rushing and a touchdown in the Wolverines humiliation of BYU, 31-0. BYU will need to address that in looking for a win Saturday. Another key for beating Utah is great play from freshman gunslinger Tanner “Miracle” Mangum. Mangum, whose uncanny two Hail Mary touchdown game-winners were just the beginning of what has been a phenomenal season (3,062 yards passing, 21 touchdowns, seven interceptions). Mangum said beating Utah will require precise execution. Finally, senior defensive lineman and monster in the middle, Bronson Kaufusi (on the year 55 tackles, 11 sacks, 1 interception) will need to find a way to continue to disrupt the backfield and bother the quarterback for BYU to be successful. 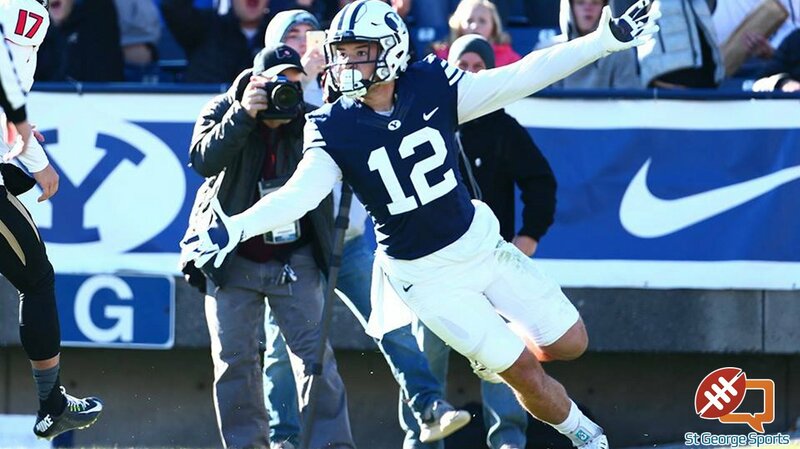 Kaufusi, who has been all but a black hole of despair for opponents trying to run, can be expected to have a big game. While BYU has some unpleasant memories this year of getting torched by Michigan and dropping heartbreaking losses against UCLA and Missouri, a win against Utah would escalate Mendenhall to instant legend status. If Mendenhall can orchestrate a defensive plan to contain the Ute speed and put Kaufusi in the right places, Mangum will lead the Cougs to a win. And with a win Saturday vs. Utah, all will be forgiven as Bronco heads to Virginia. Oh, and a quick history lesson on the Holy War. LaVell Edwards beat Utah in his last chance at the Utes. Ron McBride beat BYU in his last chance against the Cougars. Urban Meyer beat BYU in his last chance vs. the Cougs. In fact, only Gary Crowton, Mendenhall’s predecessor, failed to win his swansong game against the fierce rival. 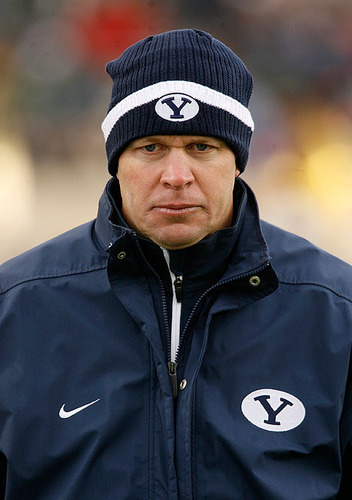 So love Mendenhall or hate ’em, the coach is already leaving BYU better than he found them. But this game, this last chance, may just cement his Cougar legend for all time. Today’s Blue Blood is a sports column guest written by BYU graduate-student AJ Griffin. The opinions expressed are not necessarily those of St. George News. Looks like his cement turned to mud.